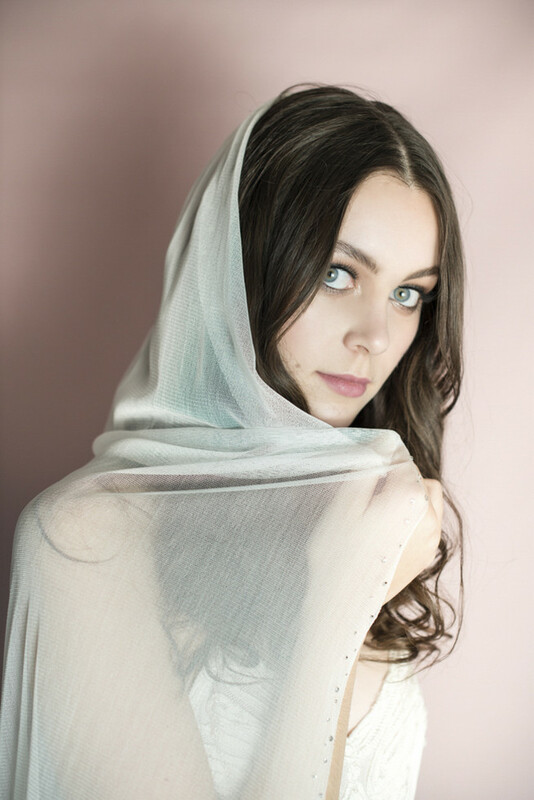 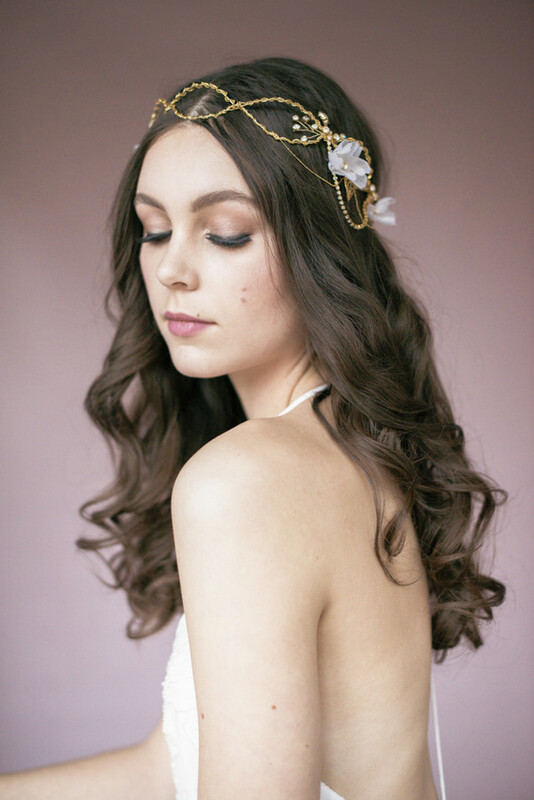 We fell in love with Blair Nadeau’s ethereal bridal collection last year, and we’re falling in love with her all over again today. 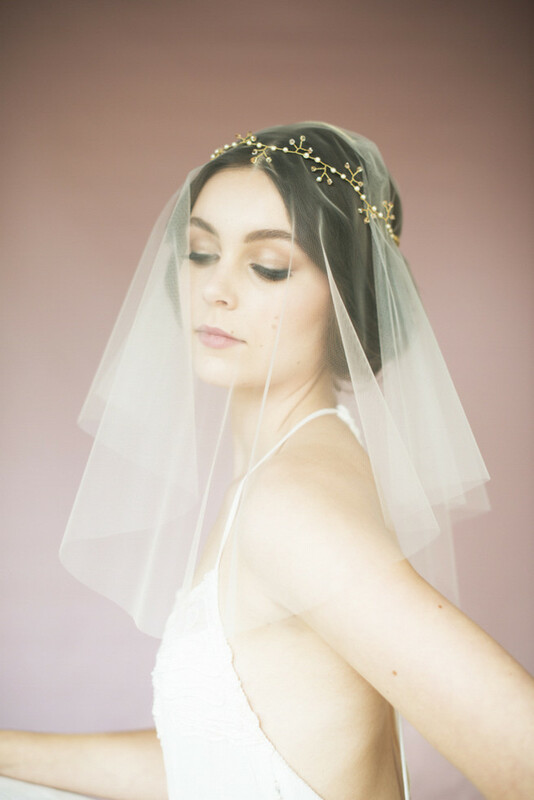 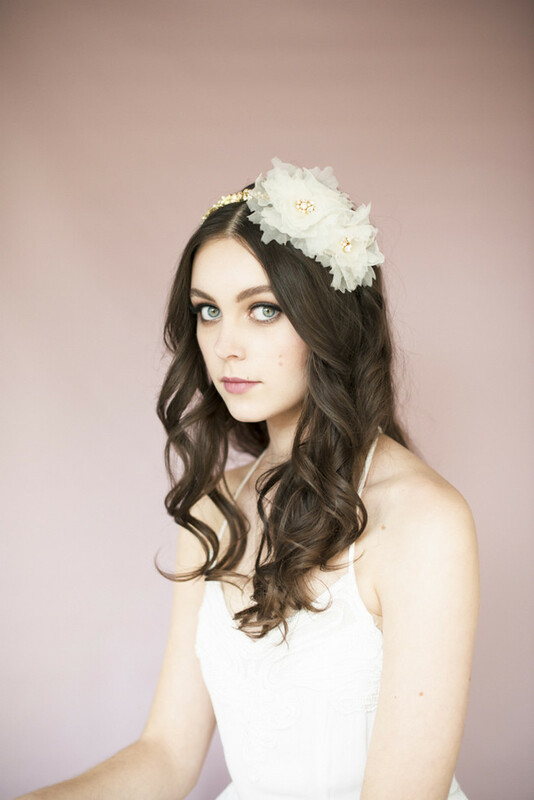 Blair Nadeau’s ‘Grace of Yester-year 2015’ collection is filled with delicate bridal head sashes, dress sashes, crowns, halos and exquisitely handmade veils. 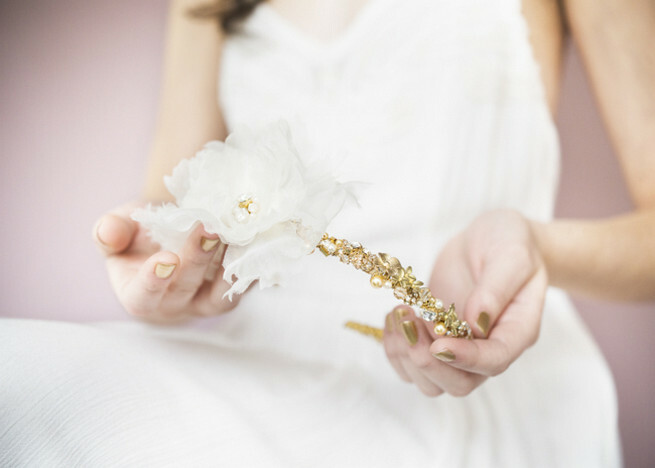 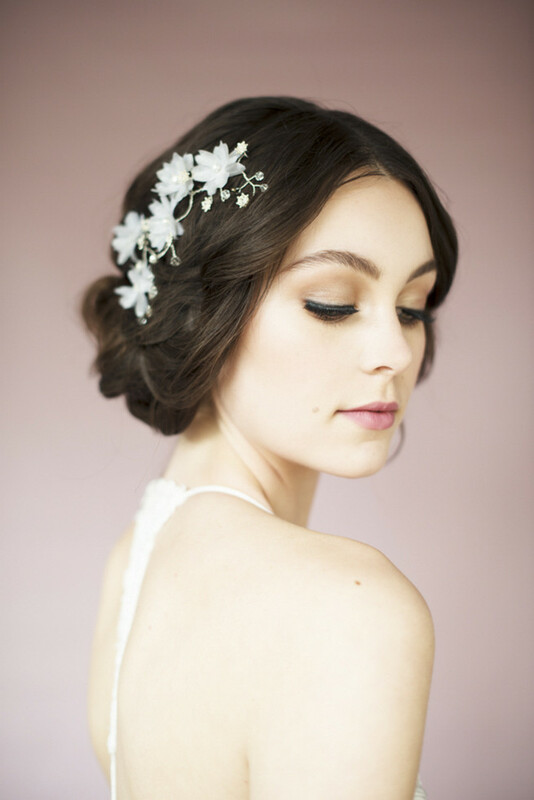 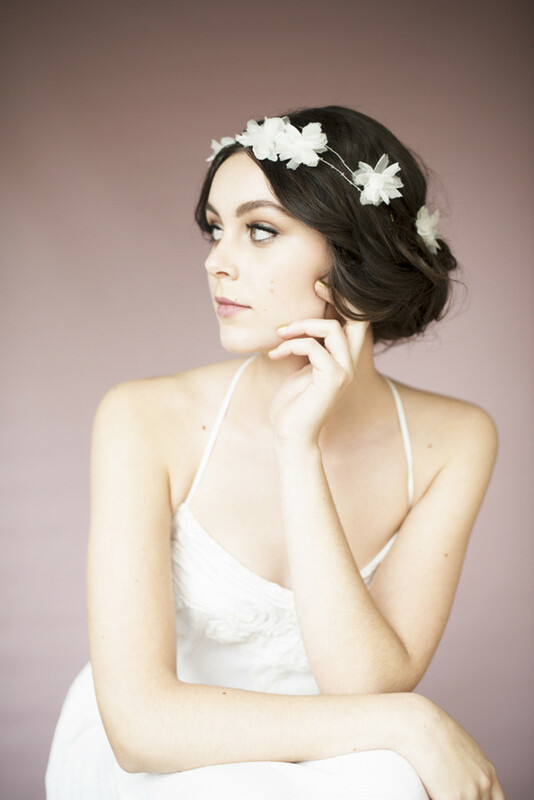 Enthralled by the beauty and gracefulness of brides from the Elizabethan era, Blair Nadeau’s 2015 bridal collection is filled with refined loveliness. 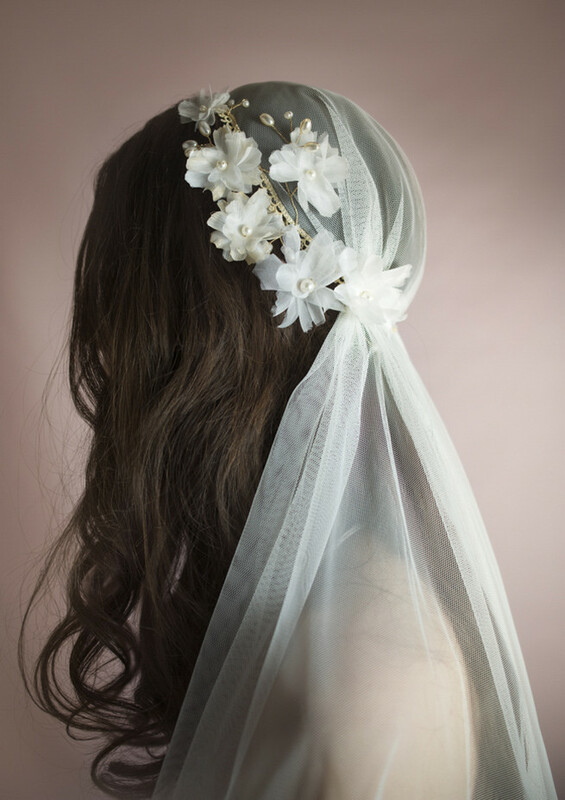 Working with silks to create soft, tissue-like flowers that grace many of the collection’s veils and headpieces, the flowers were handpainted. 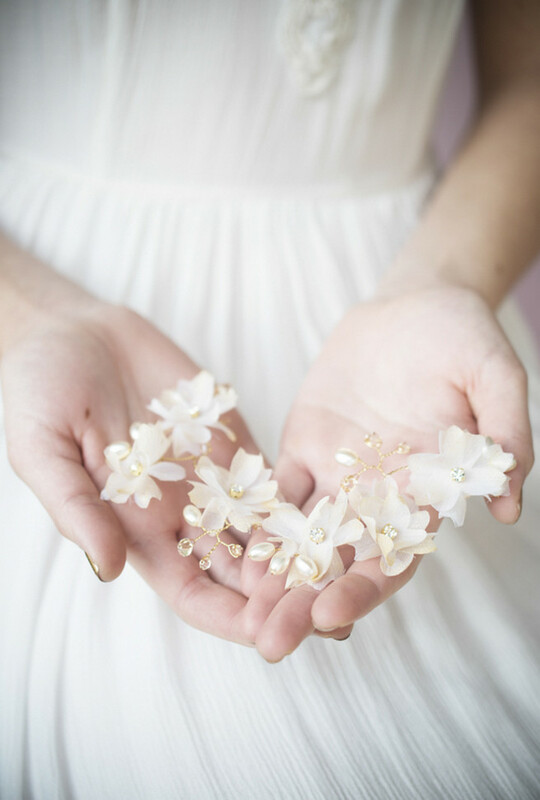 Taking a page out of history, the selected silk dyes and inks created beautiful three-dimensional floral sculptures. 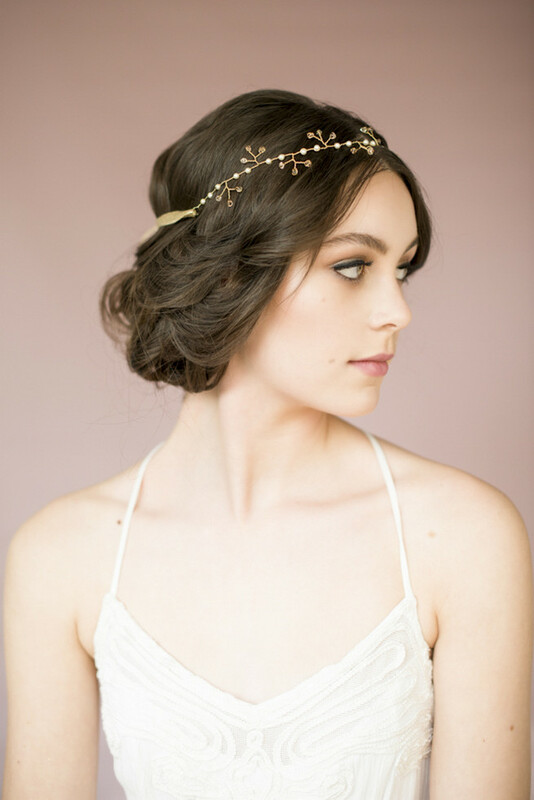 Using their traditional millinery techniques, the team at Blair Nadeau have now also introduced beautifully handcrafted dress sashes created from delicately beaded French Alencon lace, Mokuba laces with hand set Preciosa and Swarovski crystals and hand pressed silk flowers. 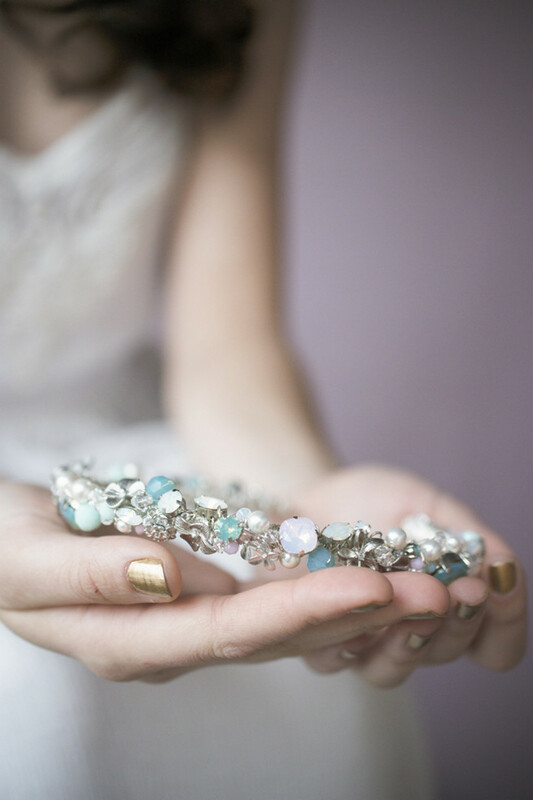 So much to adore! 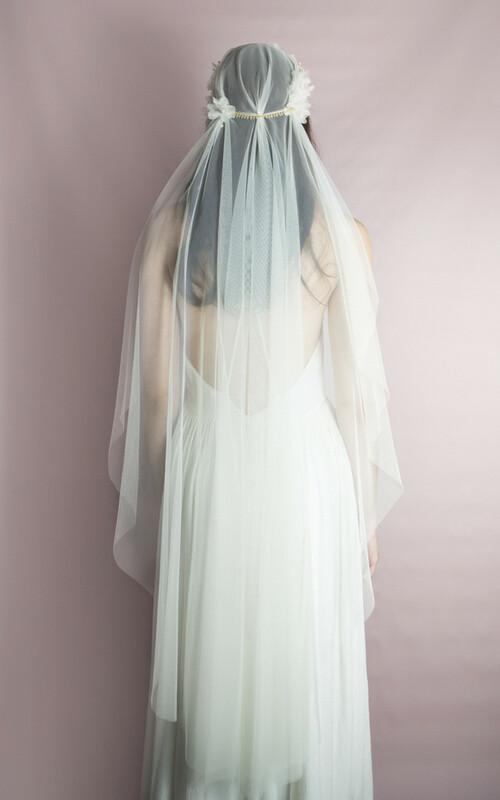 “Colour played an important part in this collection,” explains Blair. 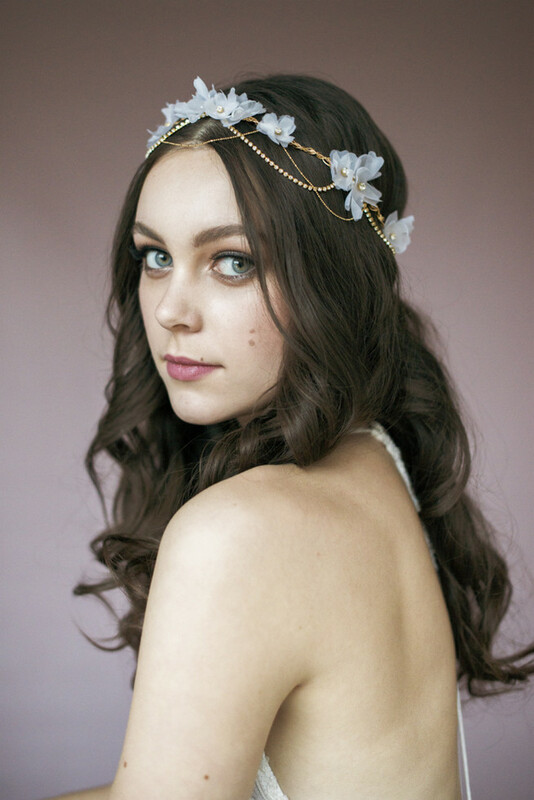 “We experimented with shades of mint, blush, opal, pale yellow and sage, all of these tones were used to convey a muted dusty palette of yesterday.” Blair shares that metals, and the mixing of metals, is also a key message as they mixed silver, gold and rose gold to make their elegant crowns and headpieces. 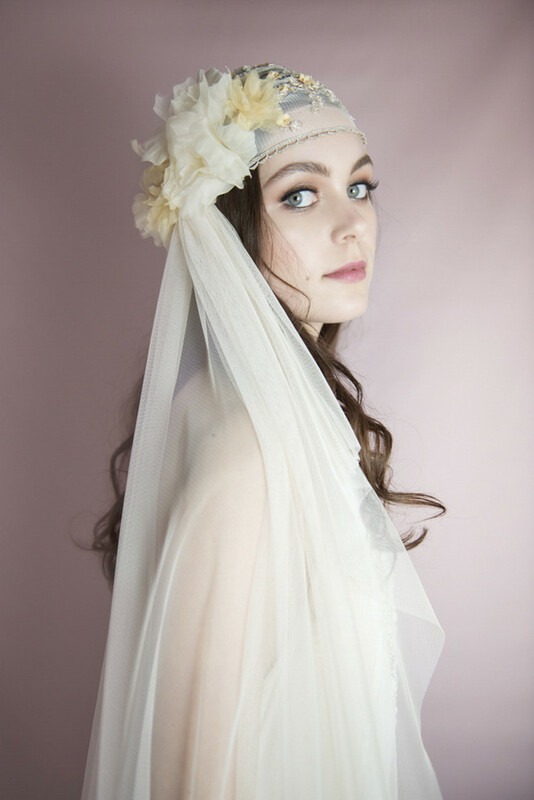 View more of Blair’s work on her lovely new website here, follow her on Facebook here and fall in love with her pretty Pinterest pins here. 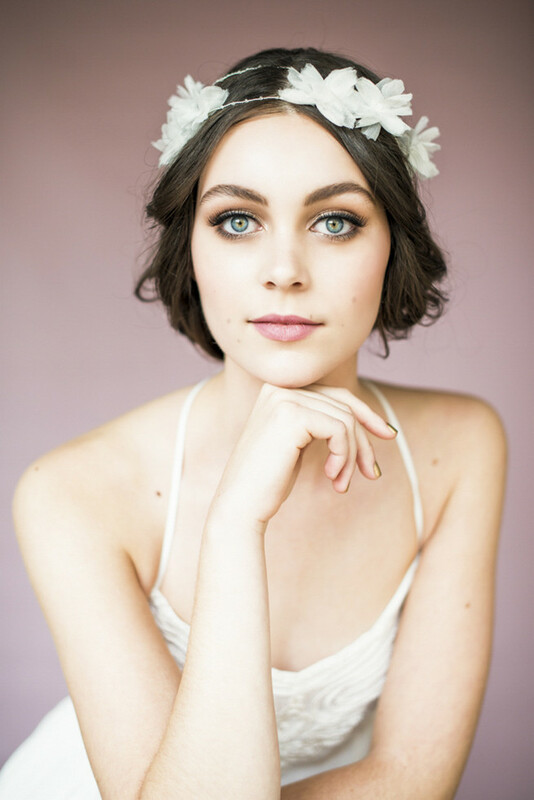 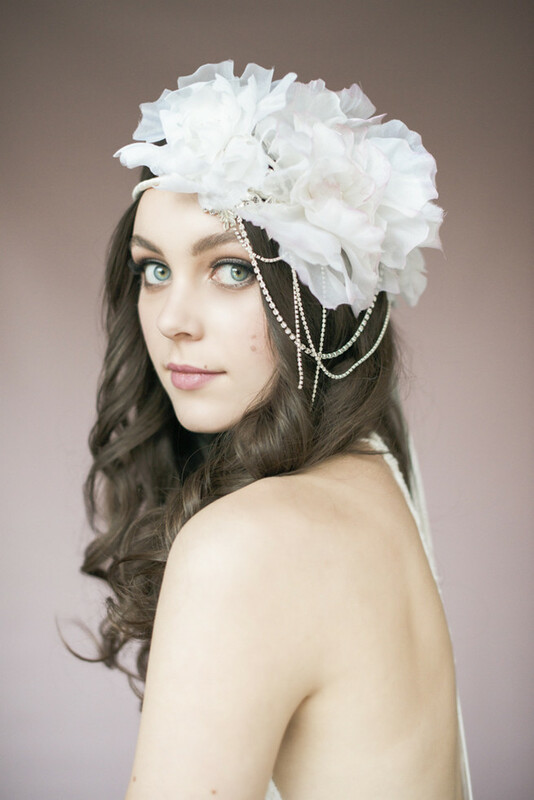 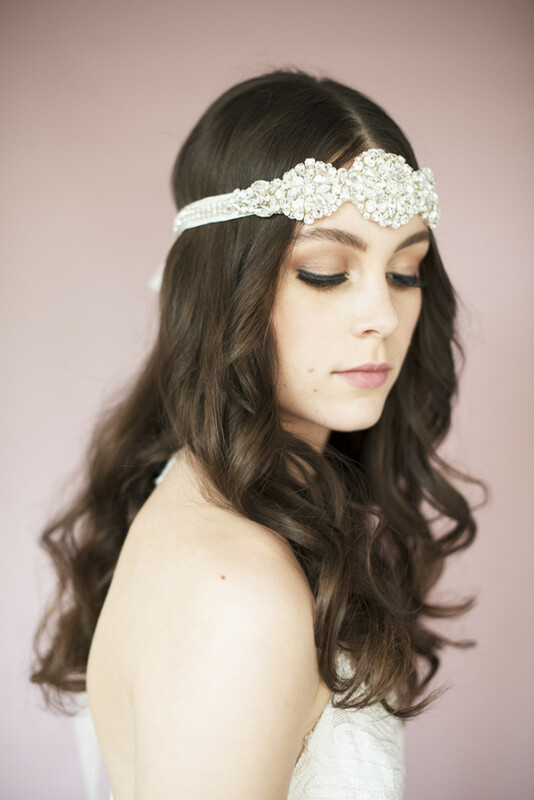 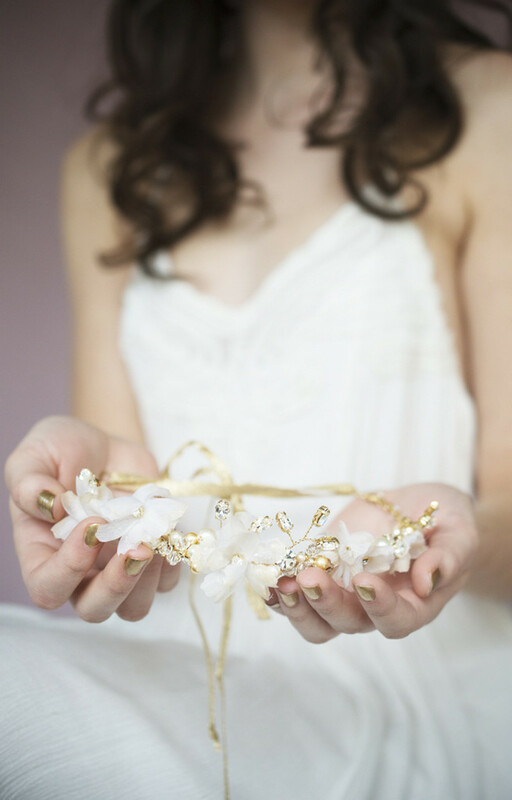 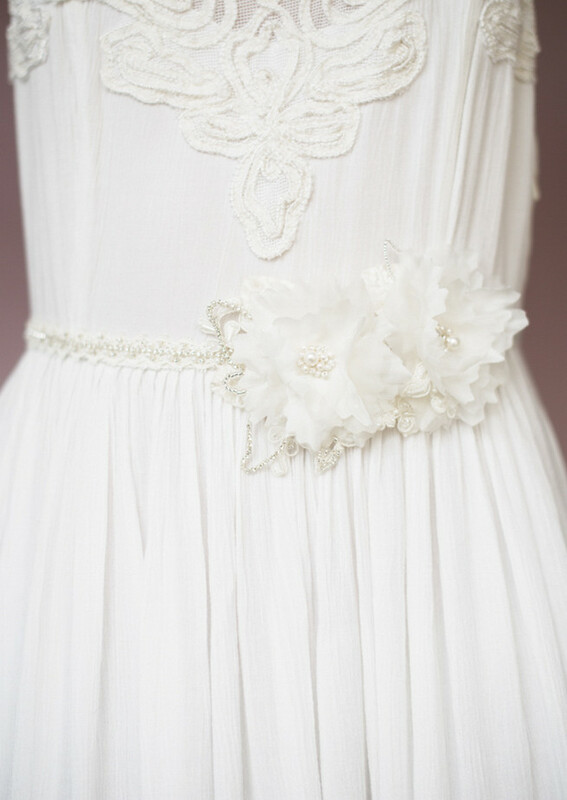 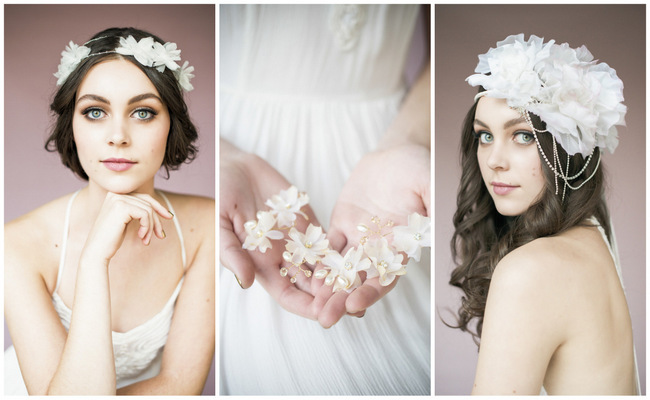 Oooh, these are lovely and there’s such a nice, range of styles for every bride!